P.A.L. Ice Hockey, a place for all to learn about life, teamwork, commitment and the game of Ice Hockey. Get news, information, schedules, rosters, game results, directions and much much more here at our site. Check back frequently for the latest information about our club...Not affiliated with the Suffolk County Police Athletic League. Despite the numerous rumors – please be advised that P.A.L. will be enforcing the mandated two player movement rule at all levels. If you go to anther tryout, that organization will only be permitted to take two players per USAH birth year classification. 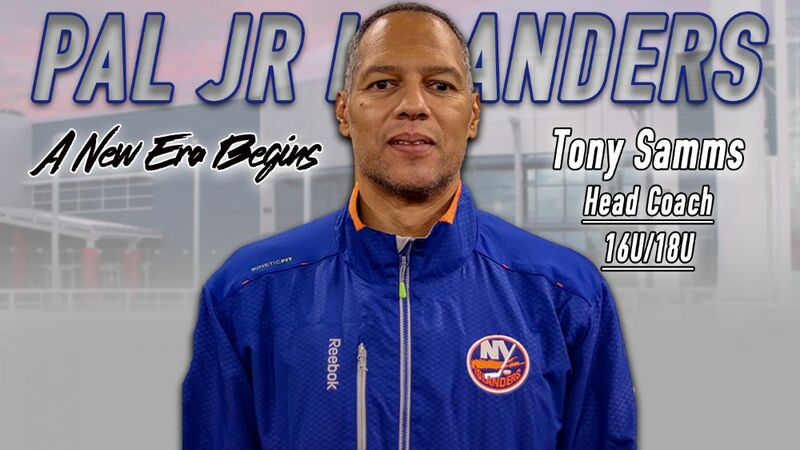 Tony Samms will be taking over the head coaching positions of the U16 and U18 PAL Jr. Islanders programs. Tony has recently been named Associate Head Coach of the two programs, but will be assuming the role of Head Coach effective immediately. Samms will also retain his role of Off Ice Training Coordinator with the NCDC program. P.A.L. Ice Hockey/Jr Islanders would like to thank all players that participated in our team tryouts for the 2019 – 2020 season.